The deaths of the two teenagers in Turkey, the first human fatalities from H5Nl outside Asia, indicates that the dreaded bird flue disease has finally made its appearance in this part of the world. 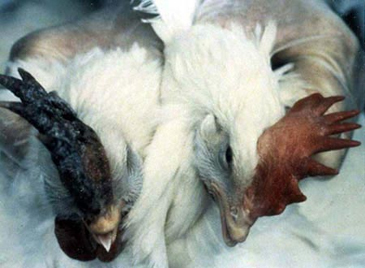 "Preliminary investigations in Turkey have shown that the deadly H5Nl strain of bird flu is slowly spreading there. Confirmed cases have been reported from the eastern and south-eastern provinces," wrote "The Gulf Today." In its daily comment, the UAE English daily said : "The virulent strain has already killed two teenagers who were siblings. The third sibling also died but tests are yet to establish the cause. With the recent findings the number of people infected with this deadly strain has risen to seven. In the eastern part of Turkey another 20 are undergoing treatment for suspected bird flu. "The deaths of the two teenagers, the first human fatalities from H5Nl outside Asia, indicates that the dreaded disease has finally made its appearance in this part of the world. Obviously there is panic in Turkey, even though there is no evidence that the disease has begun to spread among humans," it remarked. There are reports of worried residents flocking to poorly- equipped hospitals seeking treatment for symptoms. This has put heavy strain on the medical infrastructure, especially in the interior areas of Turkey. People are angry because they don't get the care they expect. Lack of awareness about the disease is also complicating the situation. Thinking they could stop the spread of disease many residents are slaughtering poultry themselves without protective clothing. But little do they realize that exposure to live birds is foolhardy, especially when birds in Turkey have recently been tested positive for H5Nl. The family of the infected children had kept poultry at their home, which also shows the dangers of close contact with birds. It's true that the best way to fight the spread of bird flu is the wholesome destruction of poultry and fowl in the affected area. But it has to be carried out by trained personnel because people who are in contact with infected birds are at great risk. There are also reports of reluctance on the part of many residents to destroy poultry. In one of the impoverished areas in Turkey authorities could not convince the residents about the danger of close contact with fowl and the need to destroy all birds, both sick and healthy. That they had to retreat with a warning that they would return with police shows the predicament of the authorities who are struggling to finish an emergency cull of poultry to contain the virus. Birds in Romania, Russia and Croatia have also been tested positive for H5Nl and this is a worrying prospect. It's not clear whether Turkey has enough stockpile of anti-viral drugs to treat those who fall ill in the event of a pandemic. Although World Health Organization has said that there is no need to panic, the situation in Turkey needs to be monitored closely. BSP Korea, which is responsible for e-ticketing business in Korea, has asked the Korea Association of Travel Agents (KATA) not to increase ratio of paper air ticketing market share to more than 50 percent following widespread report that stockpiles of paper air tickets available for immediate use have recently been drying up rapidly. As of now, only 200,000 paper tickets are in stock which is good for only one week use if the current demand for paper tickets continues, a spokesman for BSP Korea told the Korea Travel Times. Travel industry worldwide is taking rapid strides in electronic ticketing, or e-ticketing as a means of slashing costs on the back of soaring fuel costs. International Air Transport Association (IATA) Korea has recently taken steps to fix flaws in e-ticketing system to the satisfaction of air travelers after a successful trial operation of its BSP e-ticketing system in June last year. In Japan, BSP E-ticketing is responsible for more than 30% of airline ticketing business whereas the comparable ratio in Korea stands at a mere 3.8 percent as of December last year. Indications are that e- ticketing in Korea would overtake paper ticketing market share sooner or later. Paper ticketing market share in Korea still remain high due to lack of participation in e-ticketing system by local travel agents against the backdrop of ever increasing number of outgoing Korean tourists. IATA headquarters took steps to order about one million blank paper air tickets for use in Korea but when these paper tickets would be delivered is yet to be known. As of Dec. 17 last year, all the BSP Korea ticketing agents in Korea were made to handle e-ticketing without flaws. "If and when local travel trade industries cooperate with e-ticketing system as suggested by IATA, we will be able to overcome the difficult situation facing local ticketing agents owing to lack of paper tickets in stock," said a spokesman for BSP Korea which is authorized to handle e-ticketing under contract with IATA representing 265 airlines comprising 94 percent of international air traffic. Indications are that e- ticketing would overtake paper ticketing market share sooner or later worldwide. 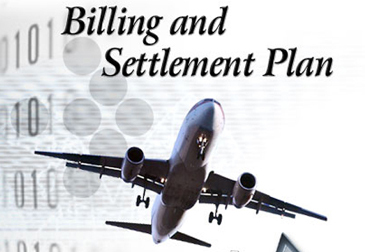 IATA said e-ticketing can generate US$3 billion in savings for the aviation industry each year. Royal Brunei Airlines will fly special charter planes during the forthcoming Lunar New Year holidays, which starts on Jan. 28. The first charter service with A320 plane will leave Incheon International Airport 4:15 p.m., Jan. 28, for arrival in Brunei at 8:50 p.m. local time. Returning flight is scheduled to leave Brunei at 5:15 p.m. on Feb. 1 for arrival at Incheon 11:25 p.m., according to Brunei Tour, organizer of the charter service. Korean Air had earlier decided to fly seasonal charter flights to Brunei from Jan.17 through Feb. 14 in cooperation with Hana Tour, Mode Tour, Lotte Travel, and Net Tour. Korean Air comes out with twice a week charter flight service on Incheon-Brunei route on Tuesday and Saturday. Tuesday flight is geared for tour program tailored for six days with four overnight whereas Saturday flight is geared for five days with three overnights. Sales performance of Brunei tour products is so far so good, says a tour operator. Royal Brunei earlier planned to fly five times a week charter flights but curtailed the weekly flight to one in consideration of possible oversupply of seats. Two kinds of Brunei tour products linked with charter service are now made available-Gold golf tour and non-golf sightseeing tour program with price tags of 1,890,000 won and 1,690,000 won, respectively. In the case of Gold golf tour product, guests will check in Empire Hotel & C.C. for use of Empire Country Club and Royal Brunei Golf Country Club. For non-golf sightseeing tour group members, Empire Hotel & C.C. will be made available and a wide variety of tour programs including night-tour, ocean sports and other unique experience programs are in store. Royal Brunei is also considering flying additional charter flights in spring season for honeymooners. The Ministry of Culture and Tourism (MCT), in coordination with the Korea National Tourism Organization (KNTO) will introduce "Good Mark" system for budget hotels as part of its ongoing efforts to improve quality of low and middle -priced accommodations for foreign tourists. "Good Mark" or kind of certificate trust issued by the government is primarily aimed at improving quality of low and middle -priced hotels and inns while offering varying kinds of hotels and inns for budget conscious foreign tourists to choose from. Once designated as "Good Mark" hotels and inns, they will be subjected to constant government supervision to improve quality of service and facilities. They will also be entitled to various incentive measures given by the government. In this connection, the ministry has thus selected 75 accommodations from among 115 hotels and inns, which applied for "Good Mark" status. Through further inspections and on the spot check-up by a group of hotel experts, public officials, consumer groups and university professors, about 50 finalists will be picked up before the end of March this year. The authorization to use "Good Mark" means service and quality of service at these accommodations are recognized by the government if not guaranteed. For the successful operation of the quality mark system, the ministry will make a push for standardization of service and quality at budget hotels and inns through training and educational programs to keep hotel services at low and middle -priced hotels and inns at higher levels. Jeju Island to attract 5.4 million tourists in "Visit Jeju Year 2006"
"Visit Jeju Year 2006" was officially proclaimed in a ceremony held in Jeju City on Jan. 10, 2006. 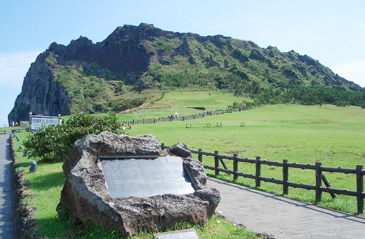 It was in July last year that the country's southernmost island was designated by Ministry of Culture and Tourism (MCT) to push for "Visit Jeju 2006" following "Visit Gyeonggi Korea 2005." Based on the draft drawn up on October 4, Jeju has received various opinions through many workshops and explanatory meetings and has analyzed them. Jeju is to establish the details to carry it out this month. Promotional brochures, ceremonial stamps, posters, and leaflets will be made while PR towers and arches will be built as well. Jeju is planning to appoint famous entertainers such as "Korean Wave" celebrities and popular sports stars as honorary promotion ambassadors. Jeju mineral water, called Jeju Samdasu, which is selling well throughout the nation, will have the symbol marks for "Visit Jeju 2006" on the labels to make it public to the nation and world. Jeju has decided to post wide color advertisements in the international airports, participate in the international tourism exhibition and offer tourism a grand sale to attract tourists. 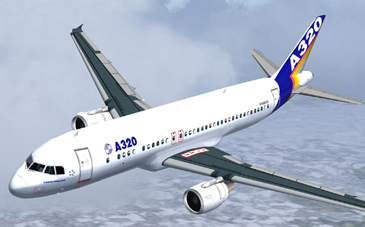 Starting in June this year, Jeju Air, newly born regional budget airline, will offer special airfares to visitors to Jeju. At the same time, KTX-Cruise tour products, combination of high-speed train and cruise ship, will be introduced to attract more tourists to Jeju. If these and other promotional plans go well, Jeju will be able to attract some 5.4 million tourists this year to rake in 1.9 trillion won in tourism revenue, up 190 billion won from a year earlier, the provincial government official said.